The Autism All Stars Foundation UK hasn't added a story. UK charity helping teenagers & adults on the autistic spectrum to enjoy a better quality of life. We use people&apos;s talents & skills to raise funds, so everyone can shine. Thanks so much for your support. The Autism All Stars Foundation UK hasn't posted any updates yet. 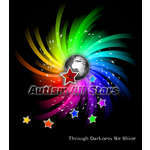 The Autism All Stars Foundation UK is managing the funds for this campaign.